Direct Pipe-In with advanced 4 Stage filters. New Design With Child Safety Lock. Stainless Steel Hot/Cold Water Tank. 4 Stages Advanced Filtration Process System. Make instantly your favourite Hot or Cold drinks. Pure hot or cold water at the touch of a button. 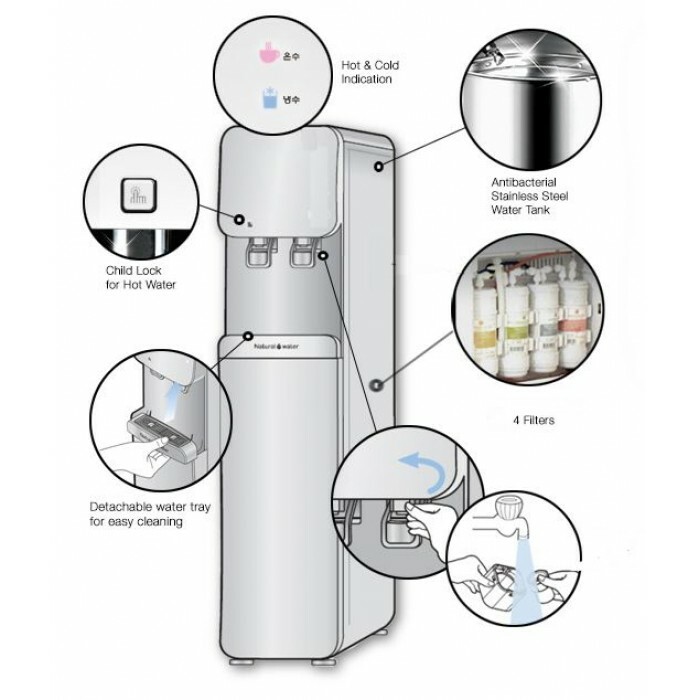 Aqua Kent hot and warm dispenser comes with a built in stage water filter system connected directly to the water source. 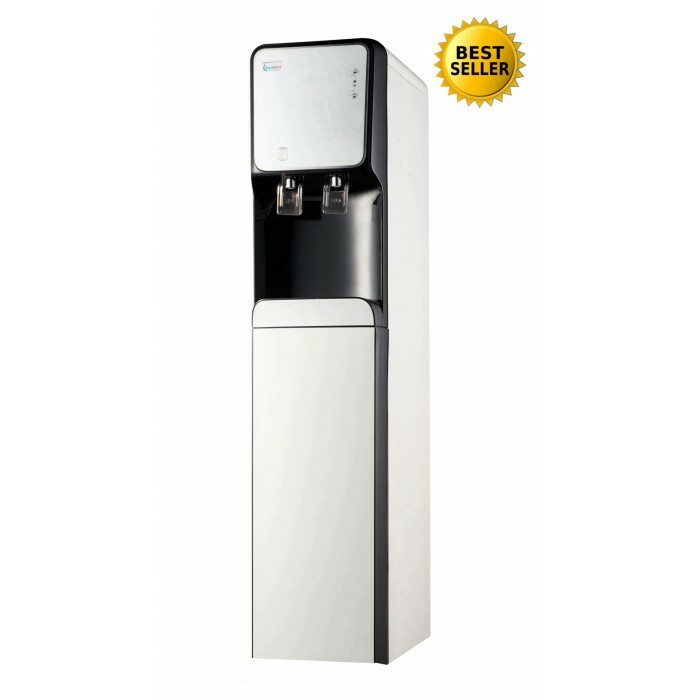 Unlike conventional bottled office water dispensers, Aqua Kent dispensers make water better than bottled quality water and save the hassle of replacing and wasting storage space of expensive 20 litres (5 Gallons) water bottles, which may be tampered with and filled from unauthorized places. It is suitable for homes, offices, showrooms, institutions, hotels, etc. Aqua Kent hot and warm water dispensers have a high-efficiency fast heating system of purified water. It is electricity saving. It supplies instant hot water for making hot beverages, coffee, tea, etc. Aqua Kent Dispensers incorporates an advanced WQA & NSF certified 4 stage filtration system thus giving users with pure filtered water. FULLY AUTOMATIC OPERATION ALLOWS TROUBLE FREE OPERATION WITHOUT THE NEED OF MANUAL INTERVENTION. The fully automatic operation allows trouble free operation without the need of manual operation. Aqua Kent dispensers incorporate a built-in rugged SMPS (Switching Mode power supply) instead of a standard power adaptor this enables the purifier to stay resilient towards frequent power fluctuations. With full stainless steel tanks, Aqua Kent water dispensers are totally corrosion free and have a long durable life. Filter Cartridges: Sediment Filter, Pre Carbon Filter, Silver Carbon and Post Carbon Filter.